It's basically fall in a bowl. Even though November has come to a close, I refuse to accept the belief that pumpkin is strictly a seasonal ingredient reserved for pies and muffins. When you find an ingredient that can make even your savory meals creamy and rich without the added fat and calories of a dairy product, why not keep it in your kitchen year-round? Head to your grocery store, grab a can (or ten) of pumpkin purée and keep it in your pantry for that day in February when there’s been snow on the ground for two weeks straight and you want to transport yourself back to a time when the temperature was thirty degrees higher. 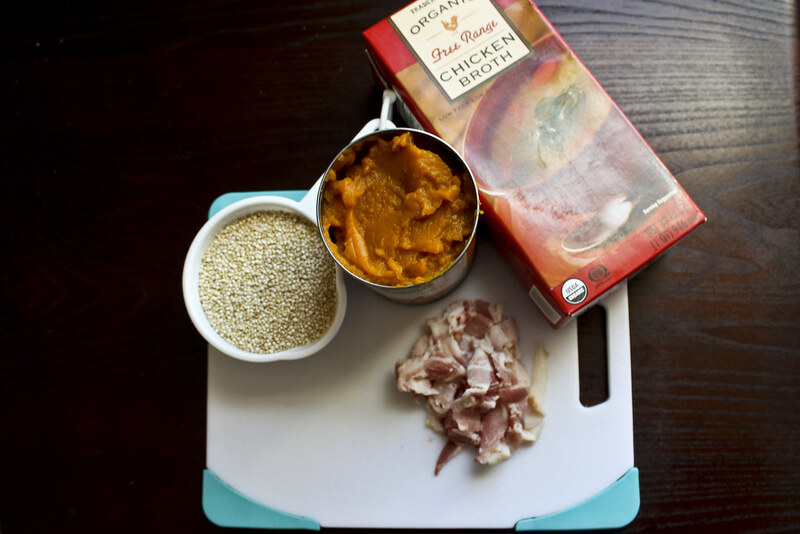 That’s where this bacon pumpkin quinoa comes in – if the pumpkin doesn’t warm you up, I’m sure the bacon will. 1. Slice bacon into small chunks. 2. 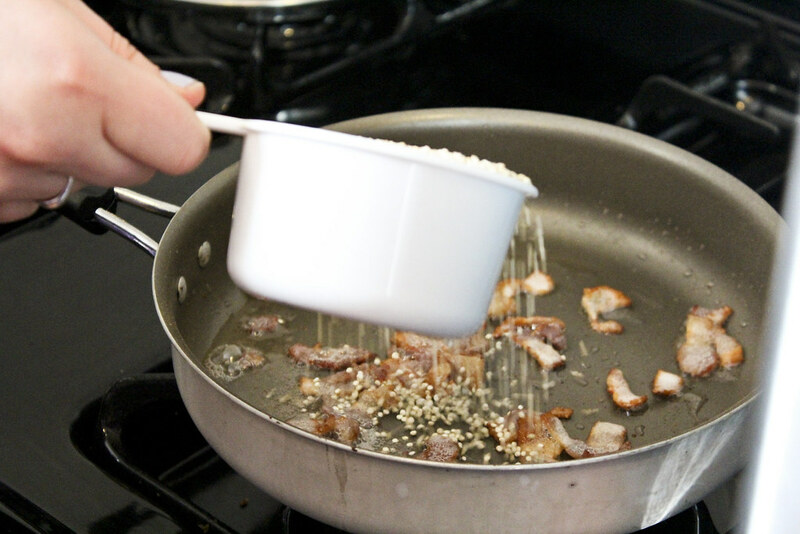 Fry bacon in a small saucepan or frying pan over medium heat until almost completely cooked. 3. 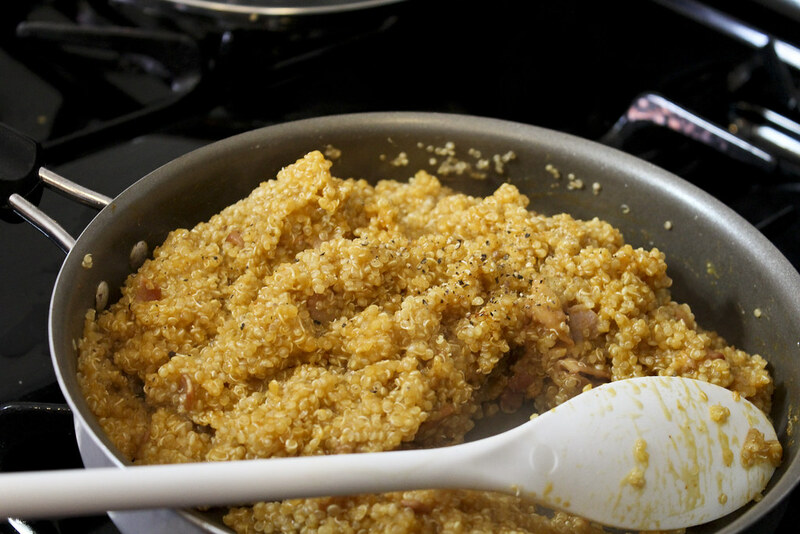 Add quinoa to pan, stir to combine with bacon and cook for about one minute. 4. 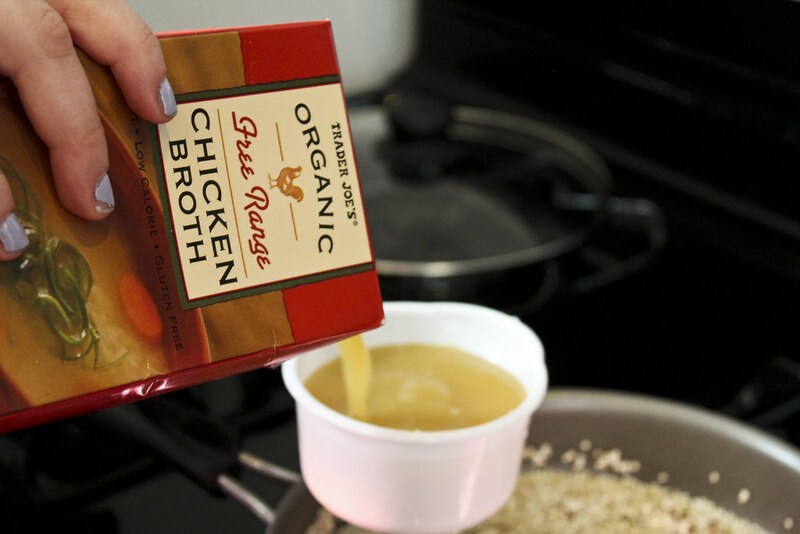 Add chicken broth or water, turn heat up to high and bring mixture to a boil. 5. When the mixture reaches a boil, turn heat down to medium-low, cover pot and cook for 15 minutes. 6. 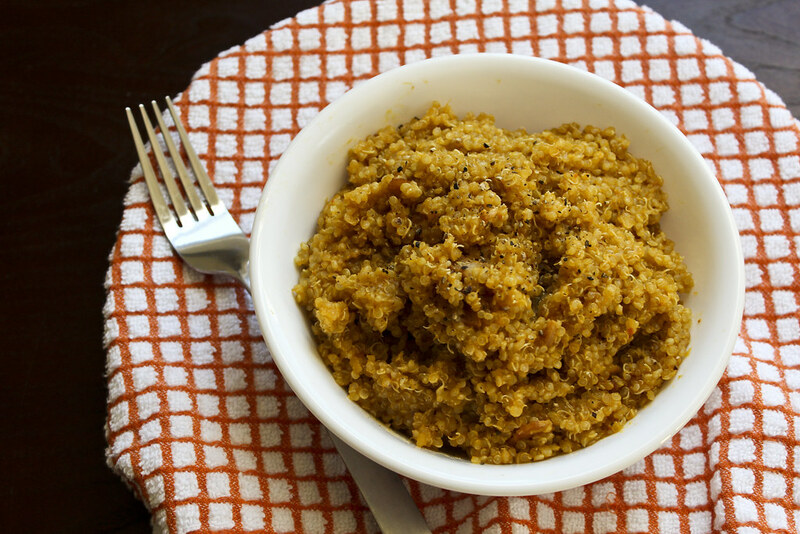 Stir in pumpkin purée and let cook until all liquid is absorbed, about 2-3 minutes. 7. When all the liquid has been absorbed, season with salt and pepper and serve.